Having obtained a copy (complimentary of course!) I can highly recommend it (and that's said without bias). I can honestly say it would have been a real benefit if we'd had such a book when we started out - perhaps then we might've known just how much work we were letting ourselves in for and thought twice! The book can be found at all the usual outlets (e.g. 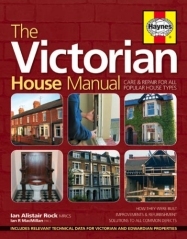 Amazon) and there is also a supporting website at www.victorian-house.co.uk. 19/08/10 - We've finished! No, really, we have actually finished! 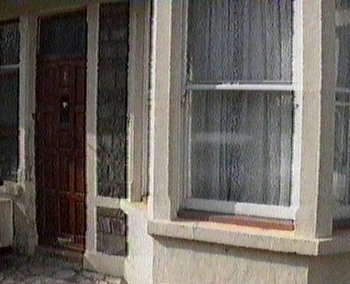 By that I mean the house was completed to the standard we were after, we lived in it for a while, and now we've moved on! Having put all that effort in it was hard to let go, but time waits for no one and our time had come... The site will remain online for posterity, and perhaps an eternal warning for when you buy a house (for the first time) thinking all it will need is a lick of paint! 15/04/07 - It had to be done... one day. I am of course referring to the very last room of the house, the 'third bedroom' which up until now has been quietly ignored by literally shutting the door on it. Behind the closed door of course lay all sorts of junk - you couldn't swing a cat in there (believe me, I've tried). Several ruthless sort-outs later and I could get in there to turn the room into a bedroom/study and even if I do say so myself I'm pleased with the results, particularly the airing cupboard! 19/03/07 - It's been a while! Since the summer we've built a new patio to complement the decking. It was finished just after Christmas and so I've been a little slack on getting the pictures online! Having said that, clearly time has been a great healer of the painful memory of actually building the damn thing... Two tonnes of stone, sand and cement carried through the house and then constructed into a pseudo-random pattern (without a cement mixer! ), levelled and pointed, is back-breaking stuff I tell you! 30/08/06 - The work continues outside with Clare putting a new coat of treatment on all the fencing and me concealing the ugly dwarf wall underneath the right-hand fencing. 15/08/06 - A simple sum: 9 joists + 22 boards + 400 screws = a deck! Okay, so I missed out some trigonometry, manhandling heavy tanalised timber, plenty of sawing and sunburn etc, but you get the picture. 06/08/06 - The house is well and truly now becoming our home now that the tools spend most of the time hidden away (for the time being at least!). Clare is going wild on the accessorising front... and the dining room and kitchen have now joined the list of 'completely finished' rooms. Note that this is the female definition of finished (i.e. soft furnishings, curtains etc) as opposed to the male definition (hard bits done... just needs painting, carpetting, doors hanging etc). 28/06/06 - Taking full advantage of the weather we've repainted the rear of the house. I never have been a fan of ladders (or rather the heights they reach!) and so I'm glad that's over now... although this still of course leaves the front of the house... All in good time! 25/04/06 - Clare has been 'thinking' again and now the spare room decor has been revisited (note to self - keep her busy!) ... the laminate flooring has gone to be replaced by carpet - managed to sell the laminate on eBay though! 25/08/05 Finished! With all the 'hard stuff' done we we're now on the home straight and frequenting soft-furnishing stores where my usual attire of ripped jeans and paint-covered jumpers are not welcome (wearing clean clothes just doesn't feel right though!) and we've now bought a table, chairs and lights etc. The cost of all these certainly made me wonder why I'd put so much effort into being so careful with the budget when buying the materials used to build the room! Still, the room's finished and it looks good - so who cares?! 13/08/05 Looking at the dates we seem to be slipping here somewhat.. I'm not sure why - something to do with summer and any excuse not to do DIY perhaps?! Still, back to it - we've wallpapered the chimney breast in the dining room to supplement the fireplace in making a centre-piece amongst the otherwise 'plain' walls. After much 'umming and arrring' we went for Laura Ashley's Delancy wallpaper in duck egg (is that really a colour?!). Incidentally, the non-central pattern repeat made me wonder whether these designers ever actually hang the stuff?! 26/06/05 We finally got round to painting the kitchen and dining room and boy, did it take some painting! The woodwork was finished in our 'standard' white satin and kitchen walls were done in Roman White with the dining room done in Pale Sepia (both part of the Dulux Heritage range). For all the newly-plastered surfaces we did two coats of standard white to form a base coat (and to seal the plaster). 30/05/05 Following the removal of the original floor-to-ceiling alcove cupboards these have now been replaced with fitted waste-height cupboards - this seemingly simple task has taught me how difficult carpentry is... ...or perhaps I'm just not very good at it hence the amount of time it took?! Shelves have also been fitted above the cupboards, suitably sized to take account of Clare's warning that she'll be filling them with cookery books (although I have managed to reserve one for a Hi-Fi..)! 22/05/05 Plenty of work has been done in here over the last month - mainly that involving preparations for a complete plaster skim of the whole room (including utility room). The plasterer's skill was nothing short of art - to him it was all in a day's work but to us it absolutely transformed the room. New woodwork has been introduced including new architraves, skirting boards and the beginnings of some fitted cupboards in the alcoves. Next task: painting... and lots of it! 17/04/05 The original fire opening has been uncovered with the initial intention of creating a simple 'modern' opening with architrave. However, a trip to a local reclamation yard changed all that following the discovery of an original Victorian fire surround for only £20. It was in need of some serious renovation to bring it back to its original state however this turned out to be largely cosmetic what with the simple removal of surface rust. I say 'simple' but it did take us almost two solid days of attacking with a wire brush, or rather several wires brush, attachment to the power drill. It's looking superb now and just requires a new mantel shelf to finish it off. 10/04/05 Some further preparatory work has been undertaken prior to the plastering coming to finish the room. This work included re-skirting some areas and other general 'tidy ups' around the room. 01/03/05 The ceiling has now been completed, or rather the plasterboard is up and it (along with the rest of the room) just requires a skim coat. The six inch drop is hardly noticeable (an earlier concern) with the Dining Room still having an 8-foot height (slightly higher in the kitchen due to the lower floor). 02/02/05 Given the new ducting (see below), the flaking Artex in the kitchen and fake beams in the Dining Room it was decided that a 'simple' (probably better described as 'effective' now that I've actually done it!) fix for all of these problems would be to fit a new ceiling six inches beneath the old one. This required a floating frame to be constructed of sufficient strength to carry a plasterboard covering. An all-round 6" drop was originally planned however it soon became apparent that the existing was not actually flat so a new reference was made using a water level - a most useful tool! 09/01/05 Following the Christmas Break, work continues on the kitchen. The old fitted cupboards have been removed and wallpaper stripped. 11/12/04 It's been a year since anything was done in the kitchen... and the time has now come to do something with it. Given the lack of openable windows (aside from the French doors) we decided that a decent cooker hood would be a good idea... Unfortunately the cooker is not on an exterior wall hence some fancy ducting, preferably hidden (see a couple of comments above! ), was required. Decent cooker hoods require 150mm/6" ducting (trust me; it may be sad but now I'm an expert on flow rate calculations at varying back pressures!) so a similarly-sized hole was required in the back wall. Enter the 6" diamond-tipped core drill... 'like a knife through butter' was the phrase that sprang to mind! The performance of the cooker hood (a 500m3/hr centrifugal Baumatic 'built-in' unit) is superb, and not too loud either. 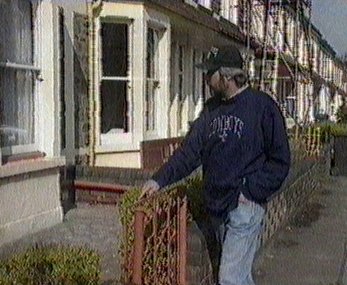 11/10/03 The last chance of Gary's bedroom flooring being accessible was taken to rewire the kitchen lights and move the light switches (also replaced with dimmers). This was done to allow the door to be re-hung on the other side thus 'opening out' the split room a little more. 29/11/08 Whilst the whole house was double-glazed back in 2002 we didn't touch the windows around the door as we were reluctant to replace the wooden surround with PVC. I have finally got round to bringing these windows uptodate by fitting secondary glazing sheets (custom cut to size by Westward Plastics) to the inner rebates of the frames. They are practically invisible yet should provide improved heat/noise insulation. 30/01/06 Carpet! In the hall! At last! Having been pleased with the carpet in the lounge we went for the same type but of a different colour - Harvest Cable in this case. 12/12/05 When I wrote the last entry I thought the lining paper was the mammoth of all time-intensive repetitive tasks.... It was but now I've painted the woodwork this has all changed. Primer, undercoat and around 5 litres of top coat (White Dulux Satinwood) took an unbelievable amount of time to apply however to finally see that last of the mahogany-stained wood disappear made it worthwhile (just). The front door has also been finished in Highland Green (Dulux WeatherShield) and the brass work well and truly buffed. The walls/ceiling of course also got their fair share of painting - for the walls we opted for Dulux Wild Primrose (yellow to you and me). 23/08/05 The dust has now settled... And the lining paper put up... All 15 rolls of it. 31/05/05 It's been a while since the whole house was completely filled with dust and so I decided to get the electric sander out. This time it was simply to smooth down some patches of filler and the tethered joints on the dry-lining so not much dust really... ...okay loads, and everywhere, perhaps now I'm just a little more used to it? 22/05/05 Another month gone and, again, many small bits of work which on their own don't add much but overall they move us one step closer to completion. Some of more major work has been the building of a 'telephone' cupboard (what else do you call a cupboard for putting the Yellow Pages in, and the phone on?! ), a new consumer unit cupboard and dry-lining many of the walls (mainly upstairs) to replace the original failing lathe-and-plaster. The original loft hatch has also been boarded up (a bigger one has already been built in the small back bedroom). 27/03/05 The hall now has its own 'Progress' section! Ought to be called 'Slow Progress' really given that there's quite a few things to be done in here. We've decided to try out sanding the floor to keep some of the 'original' aspect to the property so we we've got quite a bit of work ahead of us to get the floor into a condition suitable for such exposure. A walk-in cupboard is planned for underneath the stairs (primarily to store all the tools in!) and some modifications are required to the existing 'telephone/electrics' cupboard. 21/09/04 The lounge has now got the 'lived in' look following the fitting of some invisible bracket shelves (which I don't recommended by the way for walls made of dust like ours, particularly if your girlfriend seems intent on using them for the heaviest objects you've got), throws, pictures and flowers (the ladies touch!). The aquarium has also been moved in and, best of all, a networked PC, 32" widescreen TV and surround sound - the structured wiring fitted earlier has paid off! 13/05/04 The lounge has been completely redecorated, in fact practically rebuilt! A summary of what has been done: existing room completely gutted, constructional hearth fitted for new fireplace, new gas fire/surround/mantel fitted, gas supply/valve moved to alcove, complete rewire (dedicated ring main installed), network/tv/telephone sockets fitted, switched light sockets fitted (to allow remote control of table/standard lamps), double-glazing 'made good', plaster coving repaired, walls and ceiling papered (lining paper), complete repaint (ceiling: Silk White, walls: Matt Natural Hessian), existing radiator moved and additional one fitted in bay, floor levelled and hardboarded, door repainted and carpet fitted! It took about 4 months in total but I think it was worth it! The lounge has thus far been used as a store room however the now that's Mat's room is finished it has now been emptied with the loft taking over the role of storing our junk temporarily (yeah right - that stuff is staying up for good!). As we're not quite ready to fully decorate the lounge we've made it habitable by fitting some underlay and carpet that's spent the last 17 years in Mat's parents' lounge - this was slightly large then ours so it didn't fit too badly at all. We've also picked up a 3-piece suite and 25" TV so now we don't all have to sit on the garden furniture in the kitchen squinting at the TV! 15/01/06 Two years on and I'm glad to say the bathroom is still looking as good as new. Unfortunately the extractor fan has proven the adage 'pay low pay twice' although in this case it ought to be pay thrice as I've had to replace the el-cheapo Screwfix affair twice and so I've now gone for a proper Vent Axia model. 31/10/03 The bathroom is finished! And it only took four coats of paint on the door to stop the mahogany stain showing through...! The bathroom is all but complete - it seems that it's the 'final touches' that are taking the longest! All that's left to do is paint the ceiling and skirting/doors. A blind has been fitted along with a door - much to the delight of guests who for some reason don't like sitting on a toilet facing the kitchen with no door on... The basin has also been replaced due to a manufacturing defect spotted after it was fitted - it didn't sit flush against the wall... and, no, it wasn't the wall! Skirting boards have also been fitted, and Gary has finally completed The Shelf (capitalised given that it's become somewhat the bane of Gary's life!). Most of the tiling has now been done, the suite refitted and a Mira Excel shower fitted. The last of the boards have gone up and the blue slate laminate flooring fitted. The bath has also been temporarily fitted to allow the supply and waste plumbing to be installed. The ceiling has now been dry-lined, as have some more of the walls. The two radiators (towel and standard) have now been installed and plumbed in. Heating at last!! Mat managed to smash the cistern cover - it was only a matter of time! B&Q wanted ï¿½78 for a new cistern but luckily Twyfords have agreed to send us a new cover.. for ï¿½15... phew! A bit more insulation has gone in and the first board has been fitted. The lights have also been temporarily fitted to ensure both the wiring and offered light is okay. The roof, and most of the walls, have now been insulated with Celotex insulation board as this is twice as effective as normal polystyrene and so was ideal given the limited space we had whilst maintaining a suitable air gap. The new double-glazed window has been fitted - a wider hole had to be cut to allow for this much bigger (wider) unit. The toilet once again has been the centre of attention with the fitting of various types of filling valve to make it as quiet as possible... ..quite why we're obsessed with a silent-filling toilet is anyone's guess! We've rerouted much of the pipework to make way for underfloor ventilation - this has resulted in a much neater layout than previously so we think the extra time/effort was worth it! The toilet is now fully functional! It's not fixed to the wall but at least we don't need the hosepipe anymore! Half of the plumbing has been done - we need to wait until the bath/shower/basin are fixed before finishing this off. The plumbing has also been completed in the 'utility room'. We've finally got a working toilet again! Well, you need to fill the cistern with the hosepipe (the plumbing is yet to be finished!) but at least we don't need to run across to Marisa's in the middle of the night! We've now built a stud partition wall to split the existing room into a bathroom and small utility room. The floor of this utility room has been raised to the same height as the kitchen whilst the concrete floor in the bathroom has been levelled ready for the new flooring. 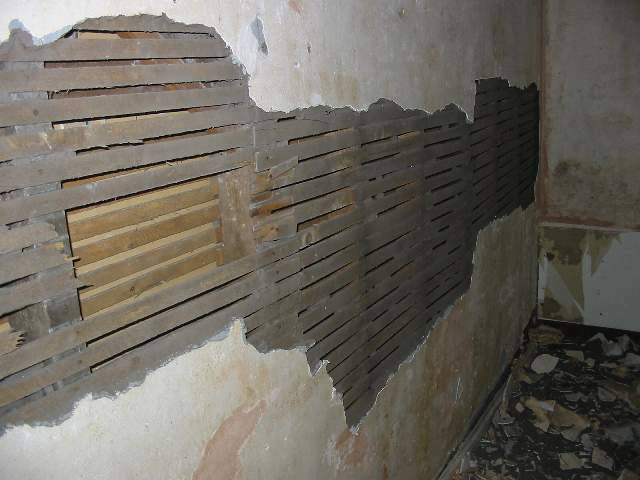 Furring strips have been attached to most of the walls to enable them to be dry-lined. Drilling into the masonry is extremely noisy so we're minimising (so might call it prolonging!) disruption to the neighbours by spreading this over several days and not working too late (there's plenty of quiet jobs to do so we're not slacking!). The original suite has been removed along with the floor, tiles, dry-lining, ceiling and lights - the whole room has essentially been gutted. The original stud wall has also been removed to enable us to change the layout of the bathroom from an L-shape to a standard rectangle. The back door has also been removed and bricked up (French doors in the dining room will provide rear access) as this will facilitate enlargement of the bathroom floorspace and window. 19/10/03 Several months have gone by and the room is doing well. The door has finally been painted (why this wasn't done with the frame I don't know!) and pictures hung on the walls to finally 'complete' the room. This room is very nearly complete given the eventual completion of a number of jobs including: finishing the 'making good' around the windows, fitting coving and skirting, replacing some of the old floorboards, taking the hearth out and fitting new supporting joists/boards, re-plumbing the radiator, installing a new ring main, wiring in TV/telephone/network, replacing lighting, papering ceiling and walls (15 rolls/75m2 worth! ), filling/staining/varnishing the skirting, emulsioning the walls (Atlantic Surf 2 and 4! ), painting the doorframe, and... deep breath(!)... fitting a touch-sensitive light switch(!) Phew! The 'making good' around the windows using timber frames and plasterboard has been started. 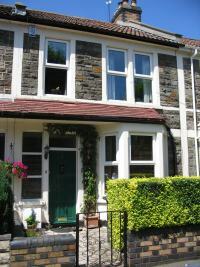 The old broken sash windows have now been replaced with double glazing units. Various gaps in the plaster have been filled although this needs finishing off. The walls were all covered in PVA to improve the bonding of wallpaper and further plaster. Surprise surprise we've gutted this room too! This involved removing the ceiling tiles, carpet, wallpaper and fitted wardrobes. A board between these wardrobes was covering the fireplace so this will need to be boarded up. 25/04/06 We can't seem to leave this room alone... now the laminate flooring has gone (on eBay!) to be replaced by carpet. Surely that's the end of it now... isn't it? 02/11/04 A cat's whisker over a year since it was first decorated, it's been done again! Now that Gary has moved out we considered it safe to change the blue walls, which looked a tad too similar to our room, into what they call 'Gentle Lavender'. The room now looks much lighter and now makes an ideal 'guest room' (can you tell a woman now lives here?!). 01/11/03 Whilst 13 may be unlucky for some not for Gary - it's 'only' taken this long to get his room into a habitable state once more... Whilst he's moved in it still requires furnishing, not least the inclusion of the biggest bed in Fishponds (let's hope it fits... no measurements were taken before purchase!). 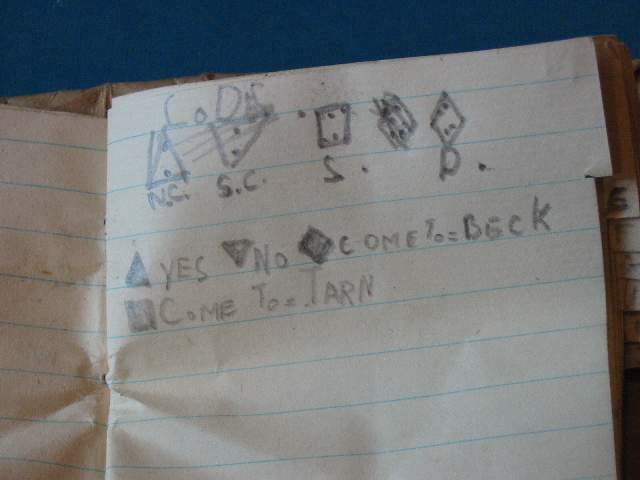 11/10/03 Gary has been working hell-for-leather on his room (with the occasional chip-in by me I should add!) involving numerous plastering jobs (resulting in the entire house receiving a thick layer of dust - cheers Gary! ), plasterboarding the partition and window walls, full electrics and comms install, floorboard repair, heating pipe replacement, new skirting, lining paper and paint ('Blue Babe'!). The door was also sent away for stripping and has now been dyed and varnished. Various gaps in the plaster have been filled and the wiring for the new switch completed. Work continued on gutting Gary's room - the dust from the lath-and-plaster was immense and has taken days to get rid of. Fortunately Clare doesn't mind getting dirty so we enlisted her help for this task! We started gutting Gary's room which included removing the basin (and capping the pipes), ceiling tiles, wallpaper and carpet. The lath-and-plaster on the partition wall was loose in places so we decided to remove the whole lot for replacement with plasterboard. 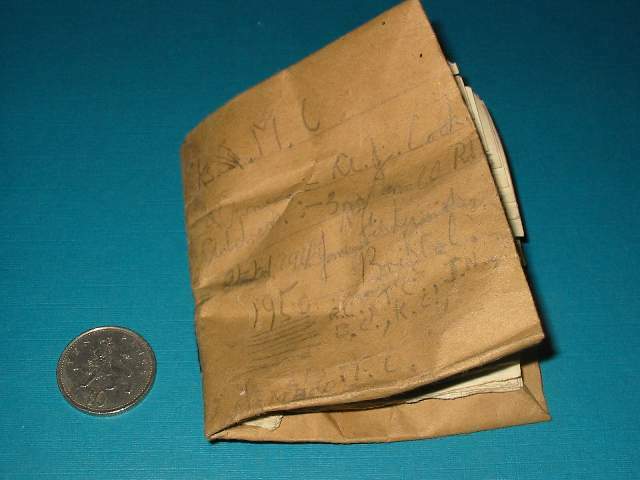 It was during the removal of this plaster that we found Roger Cook's 'codebook' (see below!). The lightswitch had to be moved to a more sensible position (it was previously behind the door!). 12/03/07 Getting there... The loft hatch has been replaced and now features a 'pub-style' counter latch! It's also now as airtight as possible and has its upper face insulated. 03/03/07 Airing cupboard is finished! Of course, being a combi boiler there's no hot water tank hence the cupboard will only be heated when the heating is on however this is better than nothing and certainly in the cooler months should provide a decent drying space. The rest of the year it'll be handy storage space so nothing lost there. 19/02/07 I knew it wasn't just cosmetic... The inevitable tricky bits have risen their ugly heads. One such problem was my hastily installed network, telephone and TV sockets. Hastily as in location given that now I need to move them.... to the other side of the room. The biggest problem here was extending the network - the Cat 5 specs are very tight on such things as length, connections, terminations etc and on 'bodges' that may well suffice for telephone and TV wiring won't do here. I'm keen to do the job properly given my server (which runs this site amongst other things) will be living in here and I don't want to jeapordise performance. Turns I needn't have worried given that someone has clearly been in this position before and invented a Cat 5 punchdown coupling block which attempts to maintain the twisted-pair paths to minimise interference. It also fits snugly (read forced-in) inside a 25mm backbox along with the telephone and TV couplers - nice! 27/01/07 Quite how this room has yet to have its own section in over four years I don't know... Okay I do - it's because we haven't done anything with it other than fill it with junk! Well, the junk has now gone (don't know where - under the beds and in the loft I think) and work has started to turn this room into a study / third bedroom. This room houses the boiler hence this will require boxing in (which may as well double-up as an airing cupboard). The rest of largely cosmetic, but then I've said that for most rooms in the house and look at the size of this page! 16/12/06 Okay, now the patio is complete! You would be forgiven for thinking I work at a snail's pace however in my defence I do like to do the job properly although I do also like any excuse to not get on with it so any opportunity to do something better/easier is usually grasped! We're very pleased with the results - it actually makes the garden look bigger even though we've encroached into the lawn a couple of metres. Come the summer it'll certainly prove to be a far more useful space and will complement the decking area nicely. 29/11/06 It's finally complete. Well, my kind of 'complete' anyway. A small wall and steps still need to be built under the French doors but the patio is down and the pointing complete. 05/11/06 It's progressing... slowly! Unfortunately the weather turned against me not only in the form of rain but also some night frosts so a quick crash course in mortar plasticisers was in order! 31/10/06 I told you it was a big project - I've only just started the physical work! Given I'd never built a patio before I was particularly grateful for Jim McCormak's excellent paving site at www.pavingexpert.com - it really is the 'bible' of all patio/paving guides. 17/10/06 The time had to come.... She wants a new patio. Oh, and it must be bigger than the current one. This turned out to be quite a big project, not only the actual labour but the planning and preparation. You'd think a 'random pattern' would be dead easy - oh no - it's probably the most difficult layout to get right as not only have you got fixed sized slabs to play with and these must all interlock but you've got to follow two golden rules to ensure the eye is not drawn to a particular part of the patio (a truly random pattern has no 'features') - 1) Don't have long (>4 slab lengths) runs of edges, and 2) Never have four corners meeting. 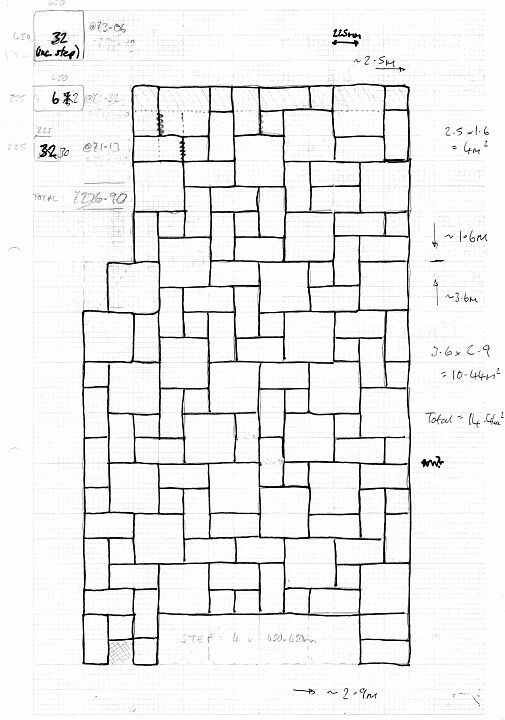 I eventually managed to create such a pattern, a scan of which can be seen here. And all that lot, just over 2 tonnes worth, had to be carried through the house to the back of the garden, then carried to the patio as and when required! And that's not to mention actually building the bloody thing! Ouch! 30/08/06 The new deck has made the rest of the wood in the garden seem a little drab so Clare has been busy repainting all the fencing whilst I've covered up an ugly wall that one of the fences sits atop with the simple addition of some planed gravel boards and green slate chippings on the top. Looks even better than we hoped it would! Next on the list is a new patio but that'll have to wait.. we're off on holiday! 15/08/06 A deck has now been built on the concrete pad that the outhouse used to sit on... a vast improvement it has to be said! The timber was bought from Bendrey Brothers Sawmills (in Warmley, Bristol) who I can highly recommend - top quality treated decking and plenty of good advice too. 28/06/06 Another year gone by and we're finally back working outside... This time we've repainted the rear of the property (Sandtex smooth masonry paint in Magnolia... what else?!) and have started building a deck on the concrete base behind the bathroom. The annual unofficial sunflower challenge is well under way and we're just ahead of the house down the road (which is all that really matters!). 03/08/05 Going well! We're now at around 10 feet! 20/06/05 As if we've got nothing better to do we've decided to try for a new World Record for growing the highest sunflower. Okay, maybe not quite but we'll see how high we get (and as long as it's higher than next door's then that'll do!). 10/04/05 Some more work has been done on the gardens with some planting of bulbs and sunflowers amongst other things. Regular mowing is helping the back garden to mature with a noticeable thickening of the lawn. 27/02/05 As if there weren't enough ongoing jobs to complete the opportunity was taken to install an outside sockets and new lights - the supply to which had to be taken from the kitchen area hence the wiring really had to go in whilst the room was being redone. ...in case you were wondering! The turf was laid in only 2 hours which, given the complete transformation that this work made, was rather satisfying! I would highly recommend 'Online Turf' not only due to their excellent customer service and quick delivery, but the cost was significantly cheaper than anywhere I could find locally... and the quality of the turfs was top notch. 04/09/04 The garden gutting continues... this time to completely redo the 'lawn'. The topsoil has been removed, only to discover the whole lawn was made of bricks, stones and pottery as opposed to the usual soil that one might expect. The majority of this has been removed (back breaking stuff!) and now awaits turfing. Seeding was considered however a quick win, and the late season, meant the 'easy' option won. 12/10/03 Correction to the last statement - now all of the greenery has been removed! Furthermore, even more fencing has been removed and replaced (panels and posts) and the entire lot has been freshly painted. 25/08/03 The outhouse has finally been demolished (so where do we put our junk now?!) along with a few of the broken fences. The majority of the 'greenery' has been removed as it's clearly been neglected for years and so the decision was made to rip it all to start afresh! Gary has fitted his motorbike anchor bolt in Roger Cook's crazy paving at the front of the house. Judging by the amount of concrete he used this will probably never be coming out...! 22/05/05 The decision was made to get the utility room skimmed whilst the kitchen was being done, if only to produce a better (smoother) surface for decorating. This now means we don't have to put lining paper up before painting (which can only be a good thing!). 29/03/05 The 'utility room' is now finally ready for decorating following the completion of all the dry-lining, woodwork and a full-width shelf above the washing machine. This area has proven ideal for washing/drying clothes so we've scrapped the original idea of using this room for storage (although I'm sure it'll get filled with junk given half the chance!). 16/03/04 Having blocked up the chimney in Mat's room a cowl has been fitted to the chimney pot to stop water/bird ingress whilst still allowing ventilation through the vent. Similarly, a gas-compatible cowl has been fitted to the lounge chimney pot. Pictures in the... err... Pictures section! 05/08/03 A room thermostat has been fitted to aid control of the central heating with the primary aim of stopping the heating coming on if the ambient temperature does not necessitate it. An outside tap has been fitted in the back garden for use with the hose etc. The beginnings of a 100MBit CAT5e network have been installed, along with house-wide distribution of TV and telephone. We figured we might as well fit it all now given that half our walls/floors are missing! The ageing upstairs wiring has been replaced with a new ring main bringing the number of sockets upstairs from 8 to 22! The ageing fuses and consumer unit have now been replaced with a new unit protected by MCBs and an RCD. We somewhat foolishly started this work at 4pm on a winter afternoon so we were quickly faced with a evening getting colder and darker! Fortunately next door lent us some electricity for a lamp and the keenness to finish the job before bedtime provided the motivation to finish! Fortunately all went well and we now have much neater, not to mention safer!, electrics. A dedicated 40A cooker supply was also fitted at the same time. Most of the boards have been fitted in the utility room along with lighting, mains and a new catflap! The removal up some of the floorboards upstairs revealed numerous unused lead pipes from a previous gas heating system so we've removed it where possible. The window man came to measure up for double-glazing - we were going to fit this ourselves but we've got a good deal with him fitting them so that's one less thing to worry about! He'd also offered to bring a tool for cutting the hole for the bathroom window... this should save us the trouble with a hammer and chisel! New locks have been fitted to the front door. Other locks will not be replaced as we'll be replacing the windows and patio doors (with French doors) shortly. 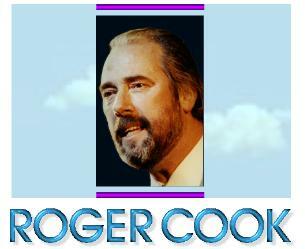 Famous Residents - Roger Cook! 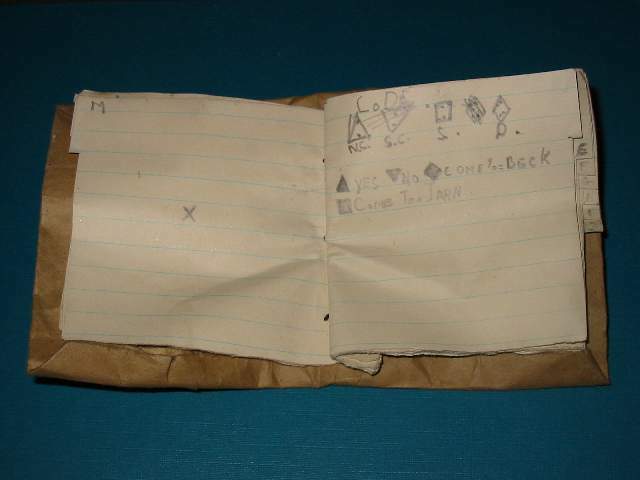 During the removal of the lath-and-plaster in Gary's room we found a homemade 'code booklet' (pictured above) hidden inside the plaster. The book was dated 9th June 1950 and had what looks like the name 'R Cook' on the front along with our address. 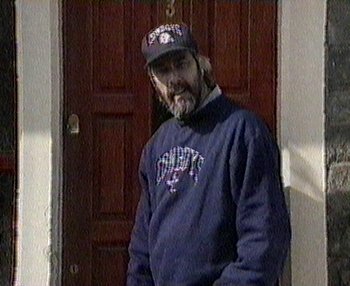 After a few enquiries with the neighbours and subsequent investigations on the Internet we have found that on Monday 19th August 1940 the songwriter Roger Cook was born in our house and lived there for ~20 years! Just to add to the excitement, local rumour had it that Elton John once stayed the night on a sofa in our lounge! 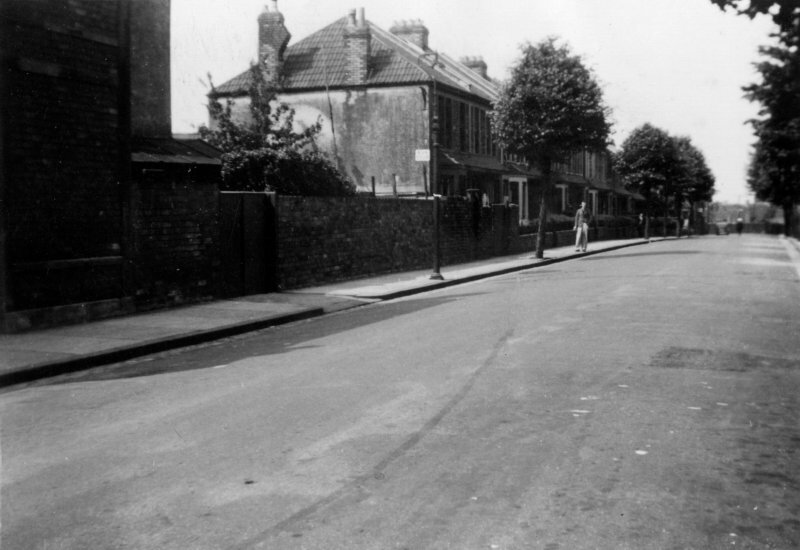 On 1st January 1970 Roger (under the name Roger James Cooke) also released the album 'Study' which contained a track entitled 'Three Parnall Road, Fishponds, Bristol'!!! We managed to track down someone on the Internet selling this LP so naturally bought ourselves a copy. You can listen to a 25-second clip from Roger's site here (I'd love to post the whole thing here but whilst I may own the house I don't own the copyright to the song!). 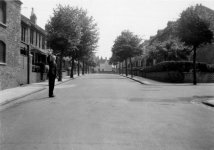 The song refers numerous then-residents of the street and even mentions 'The Blakes at No.1, where the street began' - they still live there! Twice during the early 1970's Roger was named England's Songwriter of the Year and on 21st September 1997 he became one of only 123 artists to receive the coveted Manny Award and place on the 'Nashville Songwriters Hall of Fame'. We managed to get in touch with Roger via the webmaster of his website and Roger kindly faxed us an explanation of the codebook and sent a signed photograph and discography! More info as (or if!) we find it...!